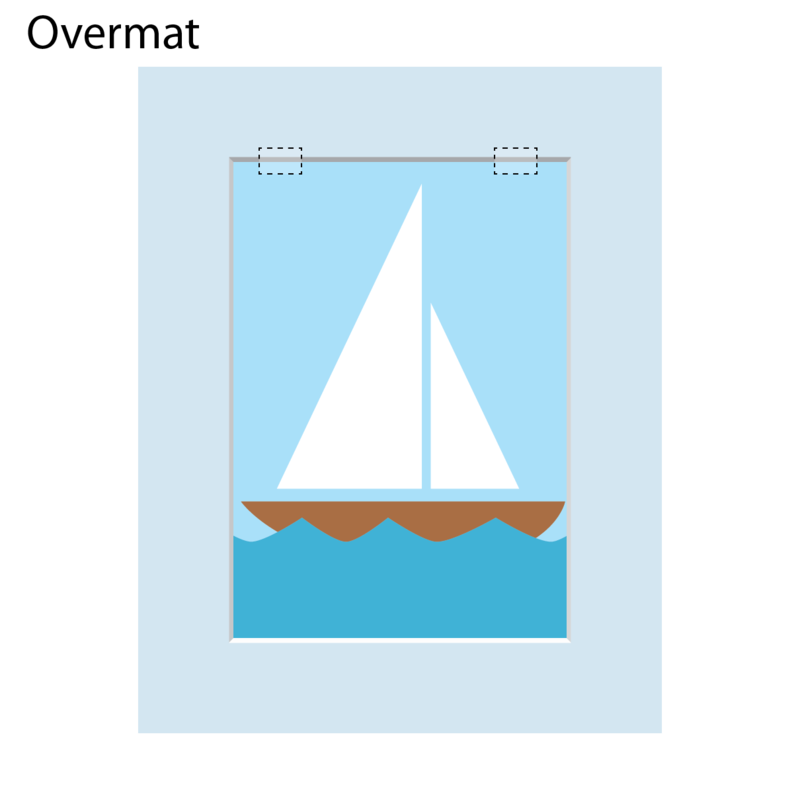 This is what most people imagine when they think of matting a picture.An overmat, or passe-partout, is a piece of matboard with one or more openings cut out to allow the artwork to show through. In most cases, the opening must be at least 1/4" smaller than the artwork, so the mat can overlap all four sides to keep the art from being damaged. This rule may not apply if a float mount(see below) is also being used. 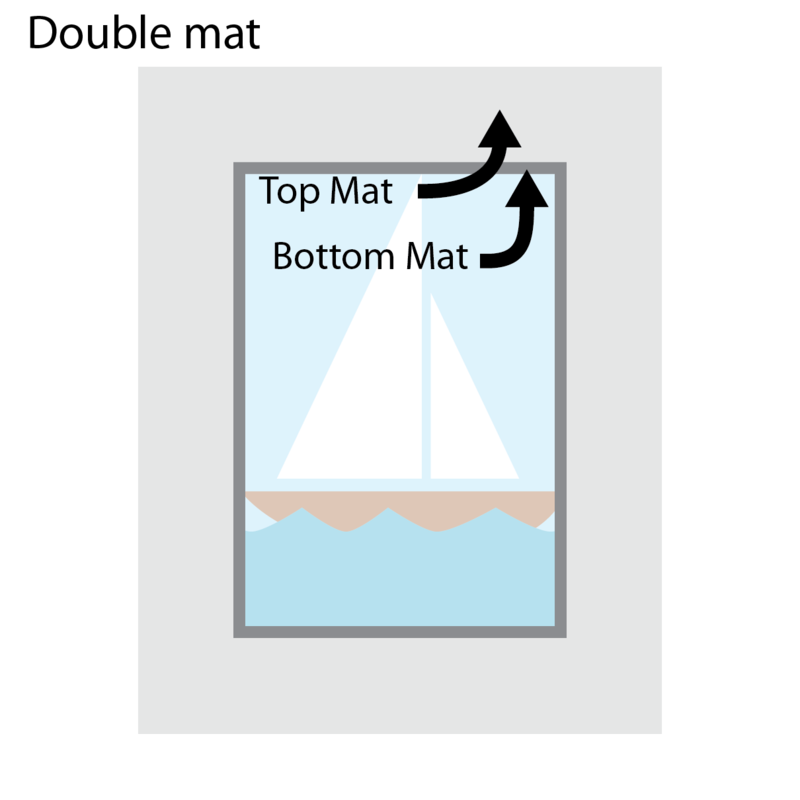 A float mount is almost the opposite of an overmat: instead of cutting an opening putting the mat on top of the artwork, the art sits on top of the uncut mat. When all four edges of the art are showing and the hinges (small pieces of secure, archival tape) are hidden behind the art, it appears to "float" on the mat! We slip small pieces of archival hinging tape through buttonhole-slits in the matboard to secure the top corners of the artwork. 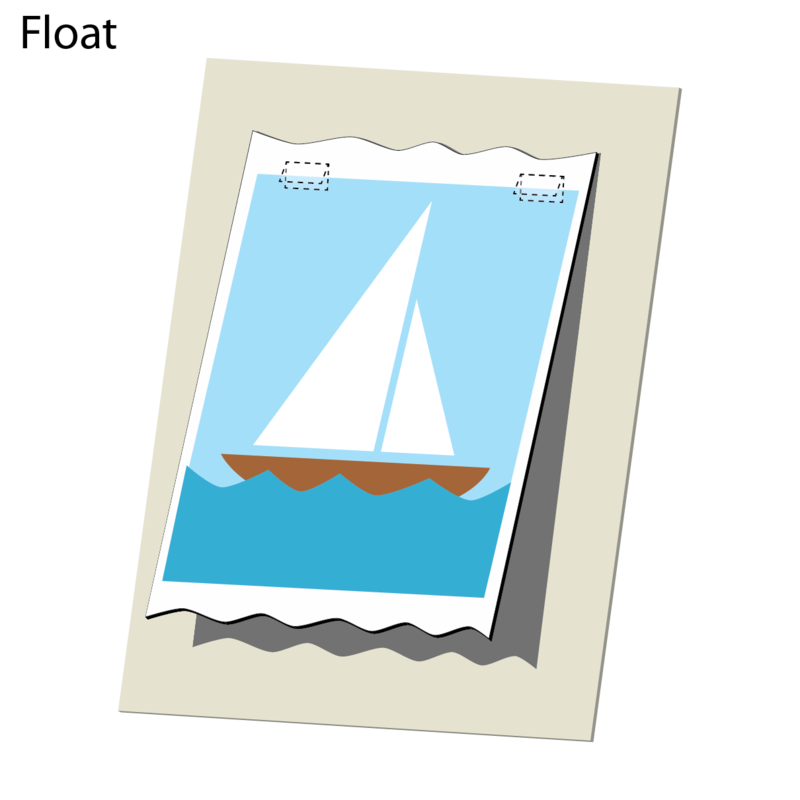 Additional pieces of archival tape may be used to secure the bottom corners of particularly fragile art. Please note: Due to the delicate nature of many two-dimensional media, we generally recommend the use of acrylic spacers to keep the glass from making contact with float-mounted artwork. Double-matting uses one primary mat in front, and a secondary mat which only shows 1/4" or so around the artwork. A double-mat is a very effective design tool when a frame just needs a splash of color, or when the artwork needs a bit of definition around the edges. 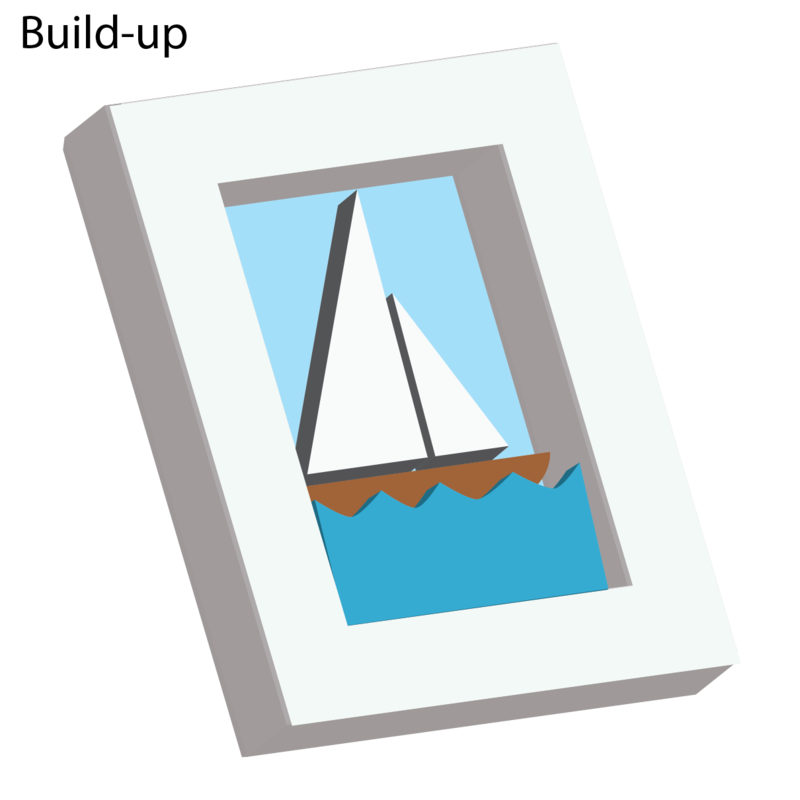 This technique can be used to add dimension to your framing. This is achieved by raising the matting, artwork or both above the backings to create more depth.